Our Window Films improve comfort in your home or business by controlling heat, fade, glare, and privacy problems related to glass windows without blocking the view. 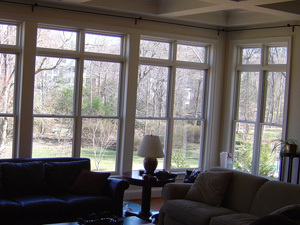 The window glass film also improves the original window performance. 3M™ window films make an attractive addition to every home. Our window films are safe for use with many types of standard, clear residential windows including single-pane, dual-pane, and removable storm panes. Based on normal usage our window films will last over ten years depending on climate, film type, window coverage, and exposure. 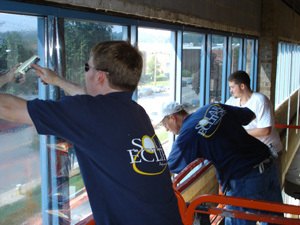 Our window film installers will cut and install your window film to a precise specification on every job. Our professionals will treat your home with respect and offer the best pricing on window film products available today. Our 3M™ Prestige Window Films allow you to bring under your control the light that enters your building. Our extensive line of films provides an elegant and efficient means for solving many of the most challenging aspects of managing the energy use of a building. 3M™ Safety and Security Window Films keep the potential for forced entry and weather damage in check. Also, by rejecting 79% of the solar heat you make the environment comfortable for your employees resulting in higher work efficiency. We help you block the sun’s heat and control your building’s temperature so you are not at the mercy of the sun’s rays. Call us now 703 794-8468 for great specials. If you are a builder, we can offer special discounts.